Tchaikovsky’s much-loved music is matched to a magical adventure on Christmas Eve for Clara and her Nutcracker doll. Their journey to the Land of Sweets brings with it some of the most familiar of all ballet moments, such as the Dance of the Sugar Plum Fairy and the Waltz of the Flowers. 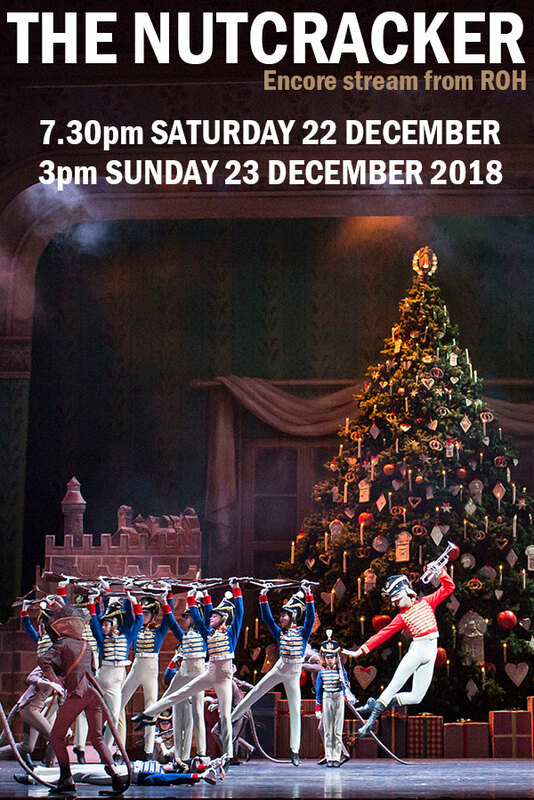 Peter Wright’s production for The Royal Ballet keeps true to the spirit of this Russian ballet classic, with period details and dancing snowflakes. The many solo roles and ensembles put the world-class skills of the Company to the fore in this Christmas classic.